Autel code reader is an inexpensive solution for DIYers and a popular choice for pro’s when dragging out the big scanner can be avoided. I have the following vehicles (2002 camry, 2007 camry, 2001 dodge deisel truck). my 2002 camry is giving a intermittent engine light and I’m thinking about buying a scanner. If I buy one I want one that will help me the most to ID the problem so I’m trying to figure out which models give me the most capability for my vehicles. 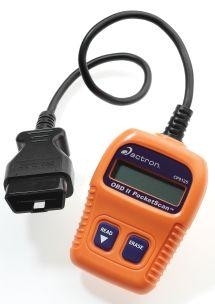 I was considering the Techscan 7000 or the actron cbp-9185 or cp9190. I’m looking for much more than just something that tells me the code…. 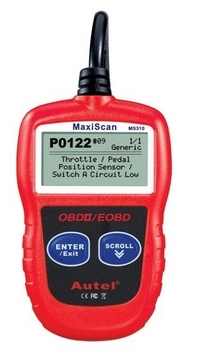 I want it to help me figure out what part is bad and am wondering if one model is better than another for my vehicles? If you have a different model you prefer please let me know which one and why. It is very difficult to understand what these scanners can do that makes one better than the other. Dean, the short answer is “Since you don’t need OBD I, you could use the Actron 9180.” Your vehicles were all manufactured after 1996 – 96 and up use OBD II. As far as the scanner diagnosing the problem – there’s not a scan tool on the market that will tell you exactly which part to change. It’s a common misconception that a scanner or code reader will tell you what’s wrong with a car and why the check engine light is on. Using the trouble/fault code that is retrieved (pulled) can point you in the right direction. However, even a $5,000 scan tool will NOT tell you definitively which part has failed. For example, a P0301 misfire code indicates a misfire on cylinder #1. 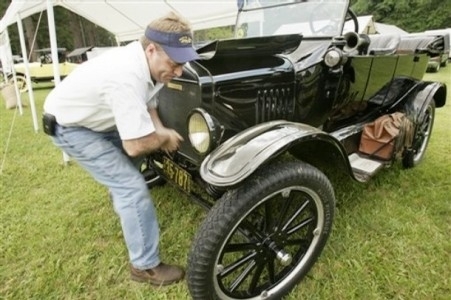 This is picked up by the vehicle’s computer by seeing the engine RPM’s slow down when cylinder number one should be contributing to the over-all engine speed. When the computer sees data pertaining to the speed of the engine below the pre-determined parameter, a certain number of times, the CEL/SES (Check Engine Light/Service Engine Soon) light is commanded on. This is very helpful in pinpointing the area to look at on the car. It tells you which cylinder and it tells you it is misfiring to some extent. The rest is up to a real person to figure out – is it a worn spark plug? Is it a bad spark plug wire, coil, low compression, worn valves…? In conclusion, just about any code reader will give you the codes to review. 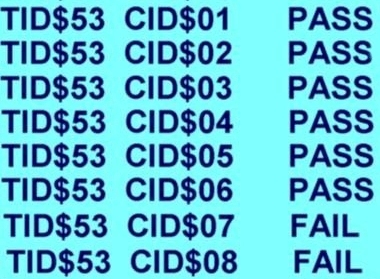 If you purchase a code reader or scan tool which displays data, it may be a little more helpful if you know what you’re looking for. You may pay more for a bigger display, OBD I capability and for a scan tool that will access other systems besides engine controls. The good thing is, with access to the Internet, after you know the fault code; you can search for common problems that may help pinpoint what’s going on with your car. Genisys Scan Tool Updates or New Genisys Scan Tool with 4.0?